Debasis Dawn received his Bachelor of Engineering (B.E) from Jadavpur Univ., India in 1986, M.Tech from Indian Institute of Technology (IIT) Kanpur, India in 1989 and Ph.D degrees from Tohoku Univ., Japan in 1993 all in electrical engineering. He was Research Associate at Tohoku Univ., during 1993 to 1998 and was engaged in doing research in the area of development of RF/Microwave/Millimeter-Wave integrated circuits and Millimeter-Wave Photonic circuits for RF-photonic interactions. He was Research Engineer at Fujitsu Laboratories Limited, Japan during 1998 to 2004. His developed ICs at Fujitsu were commercialized and used in automotive radar of Toyota vehicles. In 2005 he joined SONY Corp., Japan and held Sr. MMIC Design Engineer position. His developed ICs at SONY were used in PlayStation. During 2006~2012 he was a Research Engineer at Georgia Electronic Design Center and Adjunct Faculty at the School of Electrical and Computer Engineering of Georgia Institute of Technology, Atlanta. At Georgia Tech he was leading the research efforts in the development of RF Front-end circuits, system-on-chip solutions for gigabit Wireless Personal Area Network (WPAN), radar, and wireless sensors applications using silicon-based CMOS/SiGe process technologies. In 2012 he joined Electrical and Computer Engineering department of North Dakota State University as an Assistant Professor and has been promoted to Associate Professor with tenure in 2018. In 2018 he joined University of Washington, Tacoma as Associate Professor with tenure. His recent research interests are CMOS Radio Frequency Integrated Circuits (RFIC) development for new generation of highly integrated multifunctional devices, circuits and systems which promises a wide range of applications in science, engineering and medicine. He is serving as reviewers of numerous technical journals such as IEEE Trans. Microwave Theory and Techniques (T-MTT), Electronics Letter, IEEE Microwave and Wireless Components Letters and in the technical program review committee member of IEEE Microwave Theory and Techniques Society (IEEE MTT-S) International Microwave Symposium (IMS) in the “power amplifier devices and circuits” and held session chair positions numerous times at IMS. He has served as NSF panelists. He has published more than 60 papers in international journals and conferences and holds two US patents. He is a senior member of IEEE. •	System-on-chip (SOC) integrated Silicon-based CMOS/SiGe RF and millimeter-wave front-ends for high data rate (Gb/s) wireless body/personal area network (WBAN, WPAN) communication, high-efficiency/high-linearity power amplifier, digitally controlled transceiver front-end, phased-array multi-beam forming/nulling system, communication radar and sensors for detection applications ranging from disease control, hand-held medical scanners for bio-medical applications to portable weapon scanners for military applications. •	New promising research area of Radio Frequency (RF) Nanotechnology an enabling area bridging the foundations of nanoscience and its wide band radio-frequency applications, through microwaves up to the optical range. Nanoelectronics offers the gateway to a new generation of highly integrated multifunctional devices, circuits and systems. •	Developing integrated circuits and devices beyond millimeter-wave such as sub-millimeter wave and terahertz frequency region which promises a wide range of applications in engineering, science and medicine, such as detecting numerous diseases to inspecting food through its packaging. •	Integrated circuits development in the area of microwave/millimeter-wave and optical wave interactions. A. Editorial Board Member of IEEE Microwave Theory and Techniques Society (IEEE MTT-S). B. Symposium Session Chair/Co-Chair: “Power Amplifier Design Techniques for Millimeter-Wave and Multi-band Applications”, IEEE MTT-S Int. Microwave Sym. (IMS), Since June 2008. C.	Technical Program Review Committee Member: “Power-Amplifier Devices and Integrated Circuits”, IEEE MTT-S Int. Microwave Sym. (IMS), Since June 2008. D.	Steering Committee Member: “Workshops and Tutorials”, IEEE MTT-S Int. Microwave Sym. (IMS), Atlanta, GA, Jun. 2008. 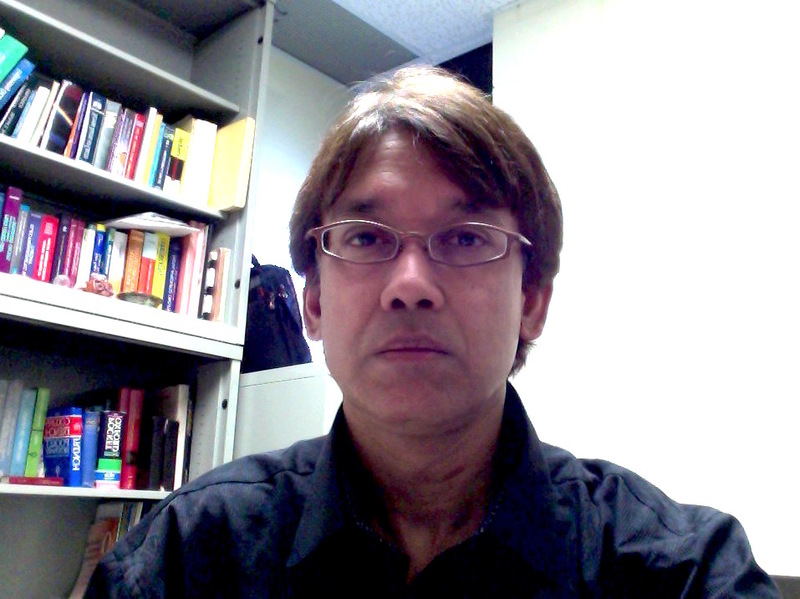 E.	NSF Panelist: Computer & Information Science & Engineering (CISE) and Electrical, Communications and Cyber Systems (ECCS), Since 2017. •	IEEE Trans. Microwave Theory Tech., Since 2009. •	IEEE Microwave and Wireless Components Letters, Since 2012. •	IEEE MTT-S Int. Microwave Symp. Since 2008. •	IEEE Transactions on Very Large Scale Integration Systems, Since 2016. •	IEEE Transactions on Circuits and Systems II, Since 2016. •	The Institute of Electronics, Information and Communication Engineers (IEICE) Trans. P. Roy and D. Dawn, “Fully integrated CMOS power amplifier using resistive current combining technique”, IET Microw. Antennas & Propag., vol 12, issue 5, pp 826-832, Apr 2018. Arka Biswas, S. Babak Hamidi, Chitralekha Biswas, Palash Roy, Dipankar Mitra and Debasis Dawn, “A Novel CMOS RF Energy Harvester for Self-Sustainable Applications”, IEEE Wireless and Microwave Technology Conf. (WAMICON), April 2018. S. Babak Hamidi and Debasis Dawn, “Fully Integrated LTE-Band CMOS Tunable Power Amplifier”, IEEE Wireless and Microwave Technology Conf. (WAMICON), April 2017. P. Roy and D. Dawn, “A High Power Fully Integrated Single-Chip CMOS Transmitter for Wireless Communication of Unmanned Aircraft System”, Microw. Opt. Technol. Lett., vol.59, No. 2: 432–439, Feb 2017. D. Mitra, P. Roy and D. Dawn, “A Variable Gain CMOS Phase Shifter for Phased Array Antenna Applications”, Microw. Opt. Technol. Lett., vol. 59, No. 2: 324–328, Feb 2017.